There are few fitness products that compete with the versatility of kettlebell weights. Easy and enjoyable to use, they strengthen and tone a wide variety of muscles including the biceps, triceps, deltoids, quads, glutes and core abdominals. By nature, kettlebell exercises build strength, help improve endurance, boost cardio stamina and promote healthy weight loss. They have so many impressive benefits for such great value. Beautifully designed, these DKN Cast Iron Kettlebells are perfect for total-body conditioning, they are made from solid cast iron and feature an ergonomic handle, ensuring a comfortable and safe grip. 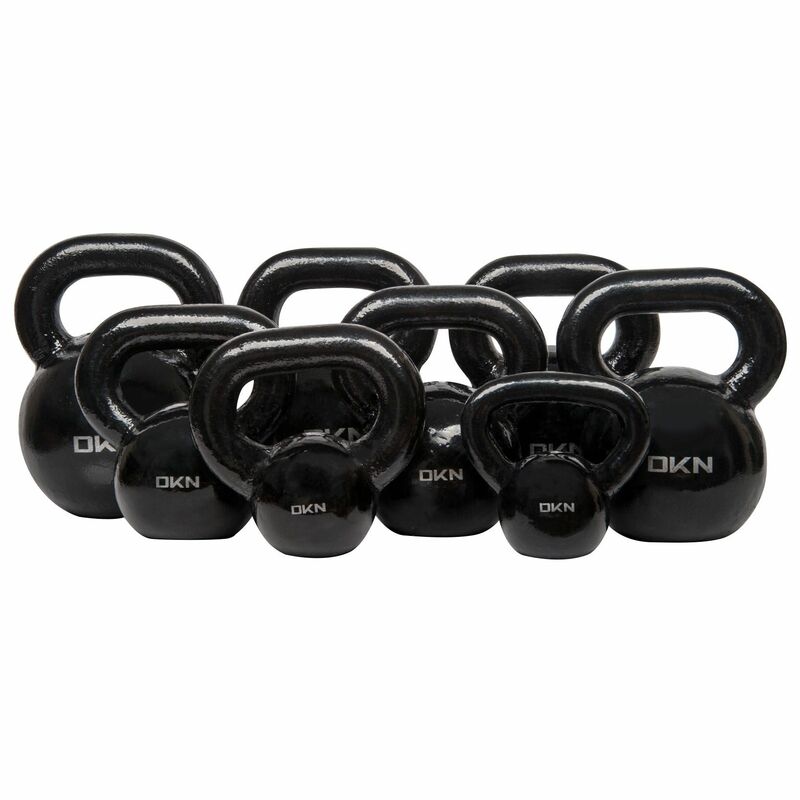 The DKN cast iron kettlebells range from 4kg (8.8lbs) to 32kg (70.5lbs) and are suitable for both home and commercial usage. 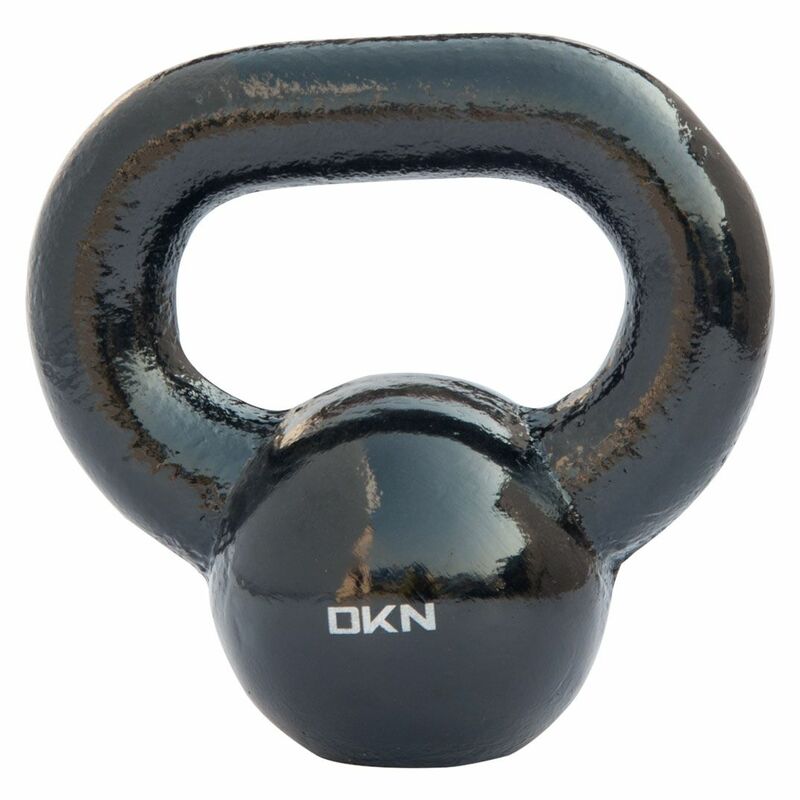 for submitting product information about DKN Cast Iron Kettlebell We aim to answer all questions within 2-3 days. for submitting product information about DKN Cast Iron Kettlebell. We aim to answer all questions within 2-3 days. If you provided your name and email address, we will email you as soon as the answer is published. One of the best value kettle bells i have bought.i have recommended to friend who have also bought. I am really pleased with my new kettlebells, what great products they are! I bought a range of weights and use them for short sessions daily, already noticing a loss in weight and a huge increase in strength since using these. Great value for money, quick delivery and small so they go straight in to a cupboard once I have finished with them. Highly recommended product! Great quality, perfect size and smooth handles with no rough edges. I use the 8kg and 16kg 2-3 times a week. You feel the burn whilst using them, but like they say- pain is temporary- no pain - no gain ha! Great product for those looking for results! Great service and speedy delivery! I purchased the DKN 28kg Cast Iron Kettlebell and it does everything that is expected from a kettlebell. Quality is fine. I enjoy using the product - it works very well. A very small detail I must mention is the diameter of the handle, it is too wide in diameter in comparison to ones I have used in Russia. I have larger arms and hands than most, so this is a small inconvenience for me but for those with smaller palms, they may find it more difficult to grip the full handle at certain points in an exercise. The body of the kettlebell could be rubberised to reduce impact when you place the kettlebell down after a set of exercise. A rubberised one would make it quieter on impact. 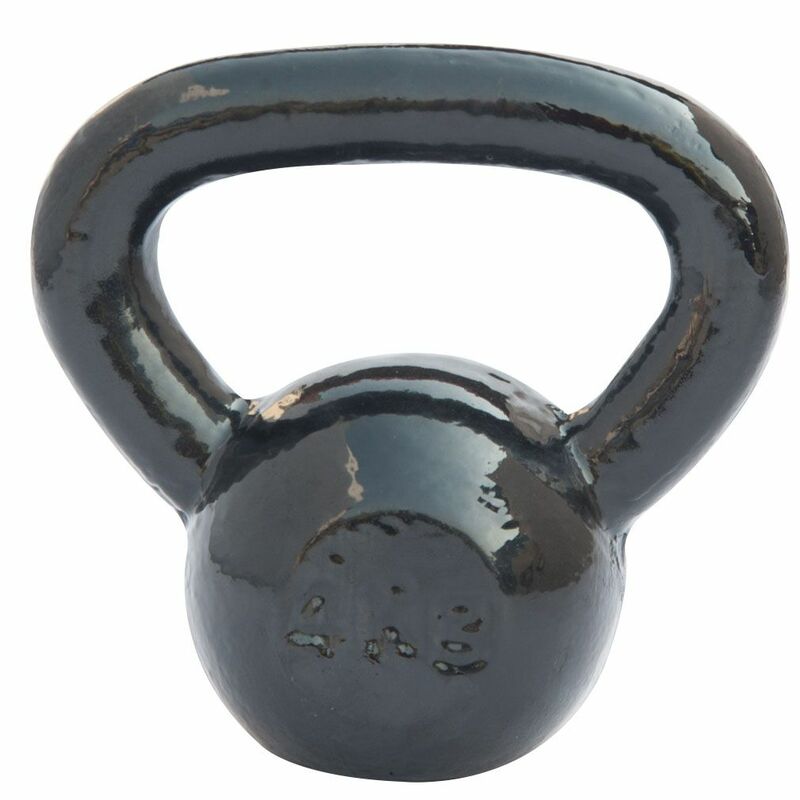 This product resembles kettlebells I have used when living in Russia and is very good in comparison. I am still giving this product 5 stars as it does everything I need from it and is manufactured to a high quality. Excellent product, I use it relatively often- maybe once or twice a week and would say it is better than others I have used in the past. It does everything you expect from a kettlebell. Well packaged and speedy delivery! I bought these kettlebells to improve core strength and generally tone and they have been great thus far! They don't slip out of your hands which I had found with the previous plastic ones I had. The cheapest cast iron available (Yes I looked at many before choosing these). Excellent quality! 5 stars and highly recommended! 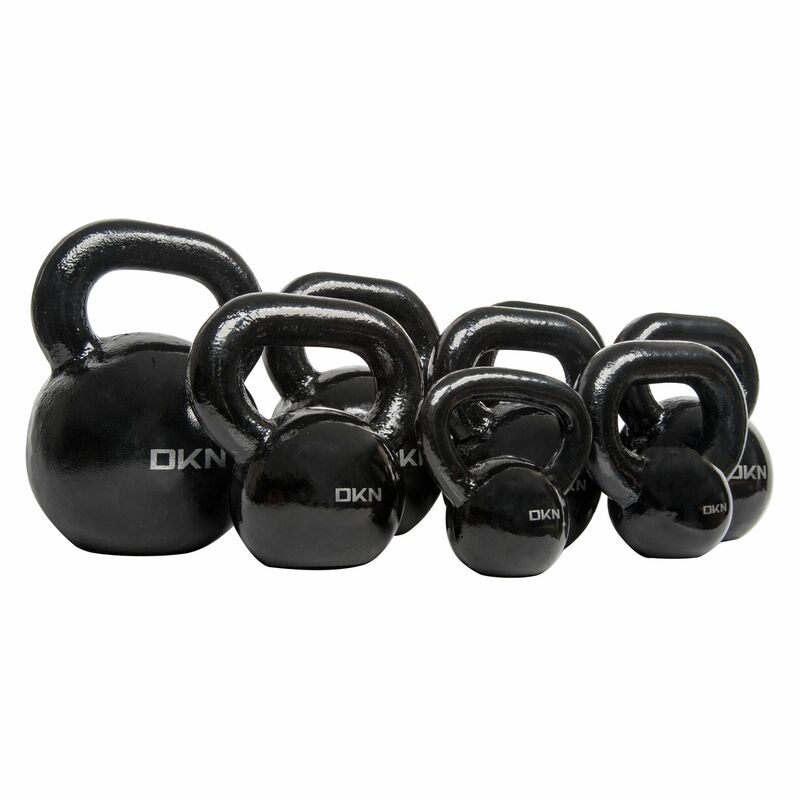 for submitting product review about DKN Cast Iron Kettlebell.